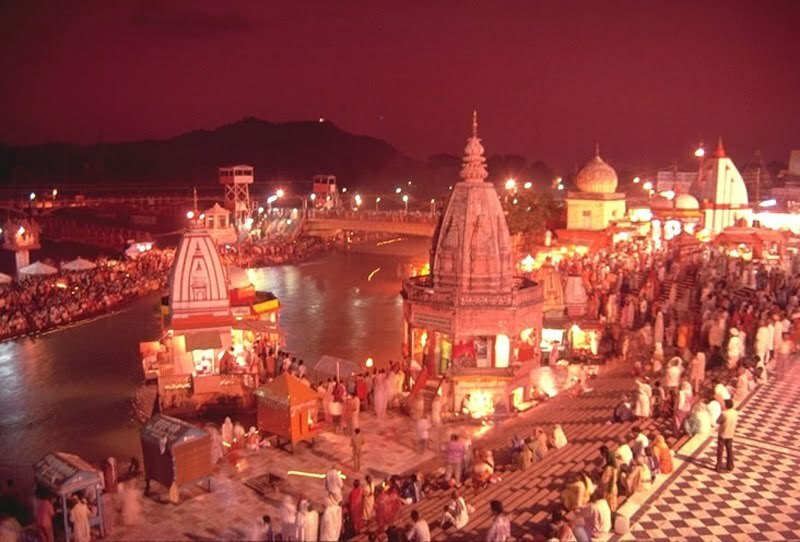 Haridwar a small city of Uttarakhand., India is religious place which have big importance in Hindu’s life. People from around the world visit here and take pleasure of such beautiful place. It is also known as Gateway to GOD. This Hindu holy place is located at banks of river Ganga. This river itself having a big importance as it comes from Himalaya Hills and is the only river never gets dry in any season. It is the main center for Hindus and from around the world Hindus come to this place. Many religious festivals are celebrated at this place. Kumbh Mela is the one which is celebrated after every 12 years. In this Mela the huge population from complete India reach there and bath in river ganga then visit to the temples to get wishes from God. It is also known as humanities large festival. In year 2003 the visitor’s calculation reaches to 70 million. This value itself is a world record. Next festival celebrated at this place is Ardh Mela which means half mela. This celebration is done after every six years. 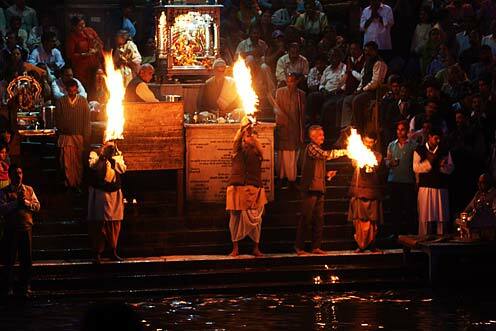 Kumbh Mela is to come this year so plan your trip to visit this place at this special occasion. Don’t forget to care about your family members. Because of huge rush you might get some problems over there. Baisakhi (celebrated in April, every year). Kanwar Mela (celebrated in July, every year). Somwati amavasya (celebrated in June, every year). Kartik purnima (after 15 days of big festival Dipawali, when full moon comes over). This place is easily reachable through plane, train and busses. Situated around 200 kms away from Delhi is connected with road and air. 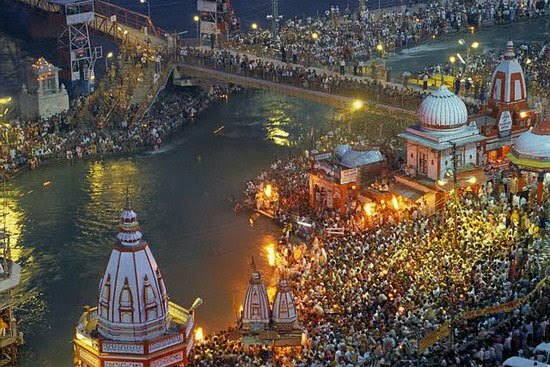 Visitors can reach from any place to Haridwar. The regular services of busses and trains allow visitors to reach their easily. Hari Ki Pauri: this focal point is the one where all devotees bath in river Ganga. This bath process starts early in the morning and continues till whole day. 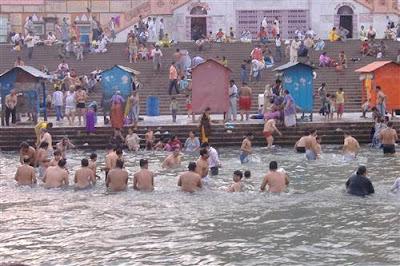 In the evening thousands of people gather here and take part in worship to God with worship to this river as well. If you have planned to visit Haridwar then don’t miss this worship and reach there before 7 pm. Maya Devi temple: it’s on the upper road in the city. It is famous for its 51 shakti peeths. Mansa Devi Temple: it’s on the top of the hill near to the town. You can hire the cable car to reach there. Hiring a cab is not at all expensive. Bharat Mata Temple: This is the only temple of Bharata Mata in India. It is just 5 km away from the center of Haridwar. Chandidevi Temple: It’s around 8 km way from railway station. AC busses are there running from the stations. You can hire these busses and can reach to this beautiful temple. Many other temples are there to visit like Daksheswara Mahadev Temple, Neel Dhara Pakshi Vihar, Sati Kund, Bhimgoda Tank, Jairam Ashram, Sapt Rishi Ashram and Sapt Sarovar, Parad Shivling, Ramanand Ashram, Ram Mandir, Doodhadhari Barfani Temple, Sureshvari Devi Temple, Paavan Dham, Anandamayi Maa Ashram, Piran Kaliyar and many others. If you have planned your trip this amazing place then you should stay here for more than a week at least. Enjoy the temples and their worship process. It’s definitely going to change your life.